Qatar’s annual ICT conference and exhibition “QITCOM 2014” is focussing on a different set of solutions designed to form the future of information and communication in Qatar’s economy in the presence of a group of prominent speakers from around the world. Activities of “QITCOM 2014,” which kicked off earlier Monday, provides an ample opportunity for the major information and communications companies and organizations in the region and the globe to take advantage of the many promising opportunities that abound in the Qatari market, and to promote projects that keep pace with the advancement of knowledge renaissance experienced in Qatar. 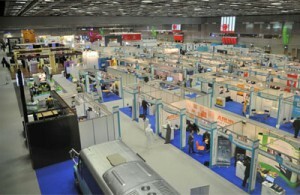 QITCOME 2014 this year attracts more than 150 exhibitors from ten countries around the world, along with a number of distinguished speakers and experts in the field of communications and the best organizations, companies and exhibitors from local, regional and global areas. It is noteworthy that the first and second editions of QITCOM Exhibition and Conference have achieved remarkable success, as they were attended by a large, various constellation of exhibitors, speakers, audience, along with the presence and participants from different parts of the world. The experts also look at how to transform ICT to the optimal way of creativity and entrepreneurship, the ways to promote new ideas and techniques, and how this technology can re- shape the governmental and private sectors in their companies, government agencies and academic institutions.